As a philanthropic organization, the Bill & Melinda Gates Foundation is familiar with giving back. Learn more about the unique charity event their group participated in, and how our team customized the experience for them. The Bill & Melinda Gates Foundation focuses on improving the quality of life for billions of people around the world, working to help improve healthcare and education, and decrease poverty. With the basis of their work revolving around philanthropy, it’s not hard to imagine that their team has “done it all” when it comes to charity and philanthropic activities. 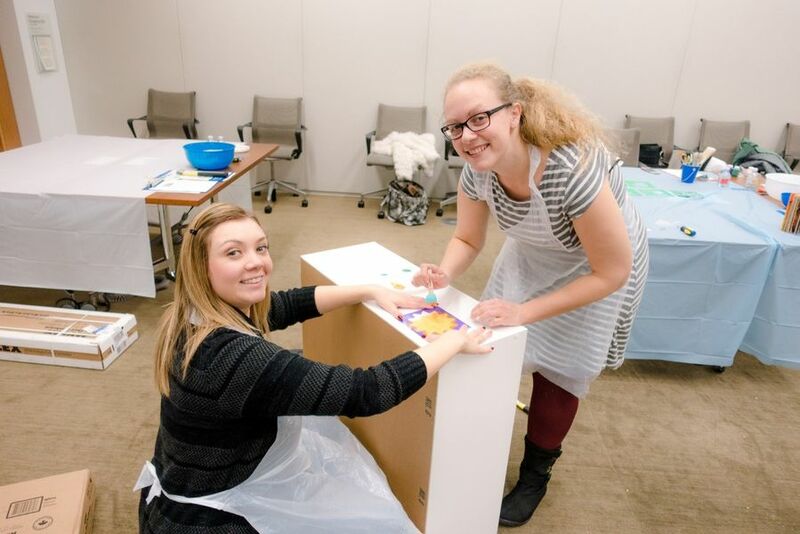 When the head office of the Bill & Melinda Gates Foundation in Seattle, Washington contacted our team, they were looking for a group activity that would help them give back – in a new way. Our team created a new charity activity, called Bookworm Builders, for this event. The Bill & Melinda Gates Foundation team worked in small groups of two to three to construct bookshelves for children in need. Each team built a custom shelf that the organization donated to Treehouse, a local non-profit that supports the education of youth in foster care. As a result, each group had the chance to work together, get creative, and do something a little different, while supporting local children and their educational development. The Bill & Melinda Gates Foundation was very happy with the results of their custom team building activity. They loved how flexible our team and philanthropic activities were, and they appreciated that they were able to find a unique charitable event to do as a group.